When I travel, I find my taste in music changing drastically and adapting to whatever environment I find myself in (Ecuador: salsa, bachata, reggaeton; New Zealand: electro-pop, synth; Boone: jam bands, folk; etc.). In an attempt to personally document my different moods and broad appreciation of music, I plan to share a Spotify playlist of 15 songs from whatever I am listening to each month. 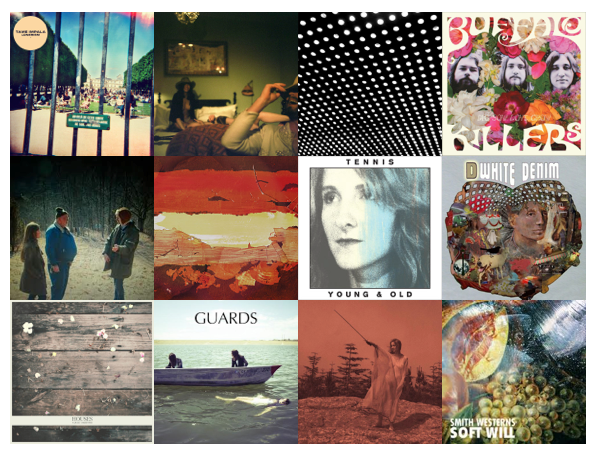 During July and over the past few months, I have become obsessed with new psychedelic, alternative sounds. I think my inspiration stemmed from a friend's recommendation of Tame Impala a few years ago and my growing obsession with the band. I recently saw them live at The National in Richmond (with @Aimee__DUH) and it was such a great show that it has dictated the rest of my summer listening.